I have been inspired by others to create my own project log. Don't expect updates to happen very often, as my painting pace is fairly slow. This is thanks to kids, a bad back, and in general "life" getting in the way of painting. But I have really enjoyed checking out other posts on this site over the years so I felt compelled to start my own project log. I already have the crossbows and Impaler painted (see the Dwarf gallery thread). One of the buddies I play with has the fire thrower team and a Keeper painted. That leaves the Mallet Warriors, Marksman, Talon Lord, and Totem left. My current project is the Talon Lord. I just started, and the going is slow. My back has been giving me trouble so I can only paint maybe 15 minutes at a time. But here is the progress so far. It has the same Vulture "green" theme that I established with my Crossbowmen. Very nice Daargrim! I'm glad to see a project log from you as your painting skills are very good. I've noticed that you are a very "clean" painter. Either you make no mistakes in splashing paint onto other areas of the model(s) or you go back with the previous color to cover up the splashes. I wish I had that kinda patience. Nice quality pic as well. Two thumbs up and count me as "subscribed" to your log. Nice to see more of your painting. Sorry to hear about your bad back. What are you going to use as the Vulture Totem then? I hope to do a bit more today. Very nice Daargrim! I glad to see a project log from you as your painting skills are very good. I've noticed that you are a very "clean" painter. Either you make no mistakes in splashing paint onto other areas of the model(s) or you go back with the previous color to cover up the splashes. I wish I had that kinda patience. Nice quality pic as well. My style is "slow and steady" to minimize going back and correcting. That's just what works for me. Its a slow process though. I've tried to change up my style to speed up the process but I haven't liked my results. Of course I have some corrections to do as I go along but I tend to be a careful painter. To speed things up I've tried to be less particular about tiny details and perfect shading, especially in areas that are hard to even see. But I'm always trying to think of ways to speed the process up. I've got WAY too many figures waiting for paint. Once upon a time you said you were going to replicate my War Totem...where is that slotted in the 2010 production schedule? Its about the right size, and fits the description (again, 1st edition rules is what I go off of). I'll make the base bigger, and maybe dress it up with some armor and stuff. I don't particularly like its "look" (I don't think it looks very "Chronopia-ish") but I already own 2 of them and they fit the bill well enough. Love's me the Chronopia Dwarf armies. Count me in as interested. 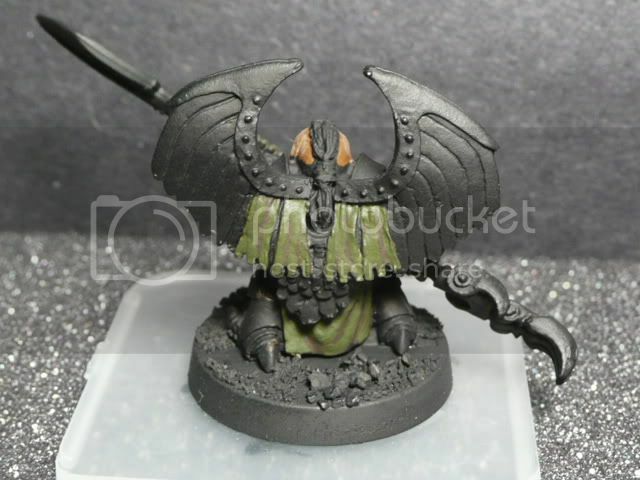 Alex Bates on the forum has a miniature that is coming out soonish that will be most usefull for the Vulture Totem. Where are your Dwarf miniatures Josh?Come on let us see them . "Once upon a time you said you were going to replicate my War Totem...where is that slotted in the 2010 production schedule? Grin"
I can't say I did not deserve it though. I admit my mind wanders quite often when it comes to Chronopia. I just enjoy the fluff so much that it makes it hard to focus on just one project at a time. I do plan on following your step by step for the War Totem some time soon...I need to track down all the parts because if I have to stop midway, well, like I said my mind wanders . But on a side note: I'm planning a little something special for my one year project log anniversary on Jan. 27th and it is next on my agenda so be sure to stop by. 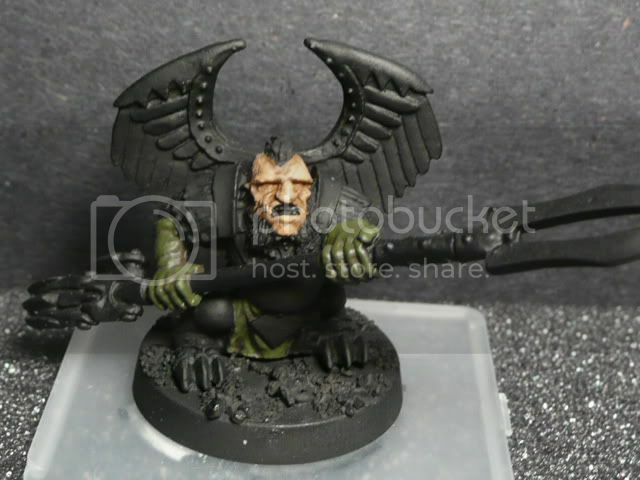 I really like your Dwarves in the Army Gallery, and I am looking forward to seeing how the Talon Lord turns out. Not really a "call out"...just a friendly, selfish "nudge"! I'd love to see someone else's take on that figure. Marking it on my calendar!!! Alex, if you are reading this, I'd love to get my hands on two of those birds...they look great! What's the word on their availability? Alex, I wanna know as well. I got some "Bird Boys" that need a Totem. Lay on the update. Yep that is the bird in question.I will be after a few also.